Point got some huge fish during that last stocking. And they got a lot as it was for the pre-season stocking when that TCA is the only open water on that river other than private clubs with the approval of the Division, both of which are strictly C&R until Opening Day at 8am. Hit the gorge on Friday. It was well stocked with trout and people. There seemed to be a person fishing every 10 feet from memorial rock on down. 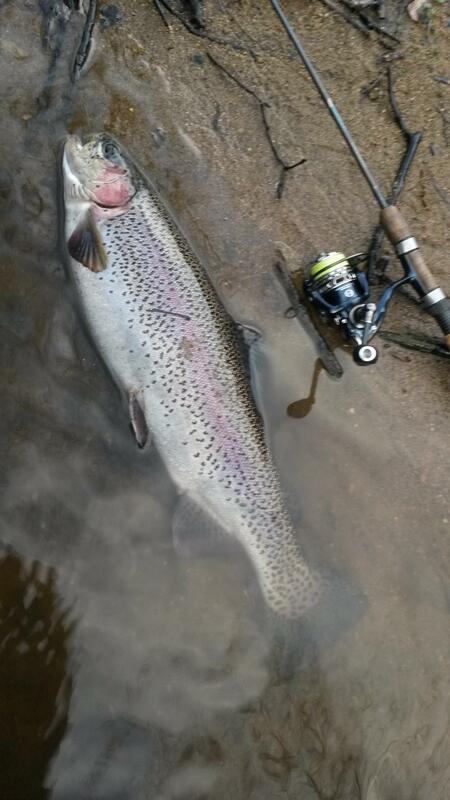 Flatbrook C&R was stocked last Thu, some mighty nice fish in the mix too. Better than getting the "raccoon"!!! !